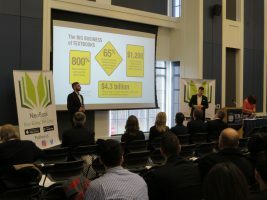 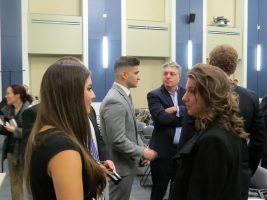 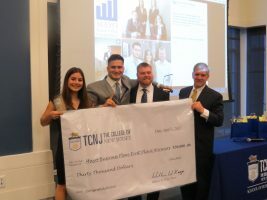 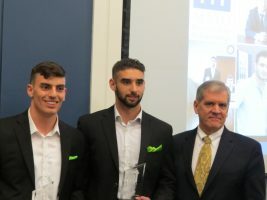 Spencer Viviano and Neophytos E. Zambas of NeoBook earned the second place prize of $14,000 and Kristen Borowski, Carmella Campisano, Matthew Newman, and Sarah Wallin of Noble Pursuit received the third place prize of $6,000. 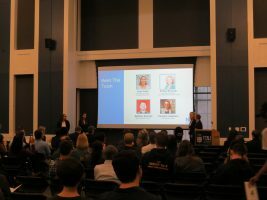 Handl is a digital marketplace, accessed through an app that provides Clients with the opportunity to outsource their everyday tasks and errands. 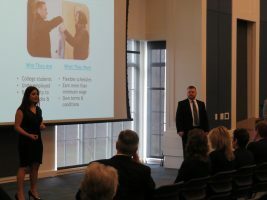 Handl offers services at a Client’s convenience, while simultaneously allowing commissioned employees (Handlers) to earn money during their free time.